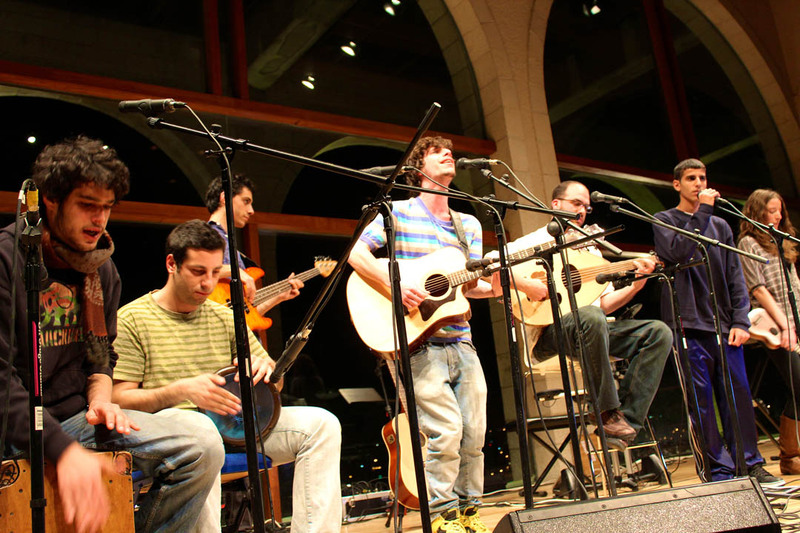 Bates presents the young Israeli and Palestinian musicians of Heartbeat, a band seeking to use music to promote peace in the Middle East, at 7 p.m. Wednesday, Feb. 27, in the Benjamin Mays Center, 95 Russell St. A reception follows the performance. Admission is open to the public at no cost. The event is sponsored by the Multifaith Chaplaincy, the Student Government, the Student Activities Office, Bridges for Peace, J Street, Hillel, the Arts House, and several other Bates departments and organizations. For more information, please call 207-786-8272. Heartbeat, an ensemble of Arab and Jewish artists aged 17 to 21, has performed across Israel, the Palestinian territories and Germany. Their program features uplifting performances interweaving traditional and modern music from East and West. Members also share experiences of growing up amidst the Israeli-Palestinian conflict, highlighting their creative effort to build a better future. Based in Jerusalem, Heartbeat is an international nonprofit organization uniting musicians, educators and students to build mutual understanding and transform conflict through the power of music. Founded in 2007 with support from a Fulbright-mtvU Award, Heartbeat creates opportunities and spaces for young Israeli and Palestinian musicians to work together, hear each other and amplify their voices to influence the world around them. Sharing in sustained music-based dialogue, Heartbeat artists develop creative nonviolent tools to express themselves and become voices for their communities. Heartbeat seeks to combat the tidal wave of separation, fear, violence and injustice in the Middle East with powerful sounds and voices calling for cooperation, equality and peace.